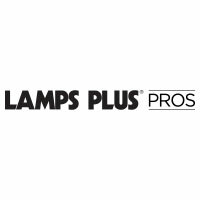 Lamps Plus Pros is the lighting and home furnishings resource for professional interior designers, contractors, builders and electricians that will keep your project on time and your clients satisfied. Part of Lamps Plus, a family-owned company with over 40 years of experience and expertise, Lamps Plus Pros provides trade pricing on lighting and home furnishings, VIP access to specials, sneak peeks at trending designs, invites to special events and more. All stocking orders processed during weekday before noon PT receive same day shipping priority, so you get your orders fast; and our dedicated account managers support you every step of the way with exclusive products “value engineered” for you ensuring your designs are at the best trade pricing and within budget on every project.